Do Not Sell Your Gold or Gold Jewelry Now. Learn Why! For those wondering whether now is a good time to sell gold jewelry or cash out your gold bars, these ads might have you thinking that the answer is yes. After all, demand is clearly high for this precious metal. And if you buy gold at the right time and then sell it after an increase in price, you can reap a tidy profit. But at the same time, you have to ask yourself: why are there now more gold buyers than ever? What do gold refiners and bullion buyers know that the public has yet to realize? The world at large has yet to relearn the fact that gold is mankind's money. It transcends all banking institutions, governments, and monetary systems. Gold is a long-term store of value; it will never be worthless. Gold is a safe haven in troubled times, a tangible monetary asset you can wholly own with virtually nonexistent counter-party risks. Gold's price (in terms of paper currencies like the U.S. dollar, the euro, yen, franc, etc.) is heading much higher in the years ahead. Most importantly, gold's true value — the number of real-world things the yellow precious metal can buy — is set to increase dramatically too. By all means, laugh, but don't be fooled into selling away your gold! How can an investor make an educated guess on how high the price of gold could go? We looked to past gold bull markets to garner an understanding of where today's gold bull market may go. In 1971, Richard Nixon officially ended the Bretton Woods System (the final ties of the U.S. dollar to gold). From that point onwards, the United States would no longer redeem our paper dollar currency for gold but would instead back the dollar with the full faith of the United States and its economy. At this point in time, every economy in the world allowed a huge monetary mistake to happen. The world henceforth moved to a full fiat currency system, meaning the paper notes in our pockets have no real, tangible value other than the value of the paper they are printed upon. History proves that not one fiat currency has ever survived; their average lifespan runs 40 years. Today's dollar, euro, pound, peso or yen are no exception to this historic rule. Look at the graph below. The green line is the U.S. monetary base, or all the U.S. dollars both physical and digital currently in circulation. As the graph shows, just prior to 1971, the monetary base started to pull away from the price of gold as more currency was borrowed into existence with no more gold to back it up. Then look at what happened from 1971 onwards, as the price of gold was unleashed, and the will of the public and the free markets drove the price of gold to where the value of the United States gold reserves accounted for the value of the monetary base and revolving credit in 1980. This was very similar to what occurred in 1934 as well. The graph demonstrates that the current value of the United States gold reserves versus the dollar's monetary base and revolving credit are nowhere near each other yet. In order for this natural correction to again occur as it has in the past, the current value of the United States' gold reserves must rise to match the monetary base and revolving outstanding credit as it did in 1980 and in 1934. We are a long way from that point today, and that is why we believe that years from now, gold at $1,600 an ounce will seem cheap. The monetary base and revolving credit are going to drop through the floor. The price of gold will increase substantially. The monetary base and revolving credit will meet somewhere in the middle. Which of Those Three Scenarios Is Most Likely? The Federal Reserve has been drastically expanding the dollar supply with quantitative easing programs, or what is called QE, QE 1, QE 2, QE 3, etc. The Federal Reserve's QE "printing press" program makes it extremely likely that the price, and more importantly the value of gold, will only continue to rise over the long haul. How should the WORLD react in this time of quantitative easing (QE1, QE2, QE3, etc.) or rampant monetary expansionism? Option 1: Sit back and do nothing and watch the value of your savings vanish away. Option 2: Invest and hold physical gold and silver bullion and actually benefit from the inevitable outcome of the current monetary debasement (the United States dollar's devaluation and the loss of our currency's purchasing power). What we’re saying is that that question of “Is it a good time to sell gold?” goes far beyond what the current market price is and what your plans for the proceeds are. This isn’t about being able to make a down payment on a new house or taking a dream vacation. 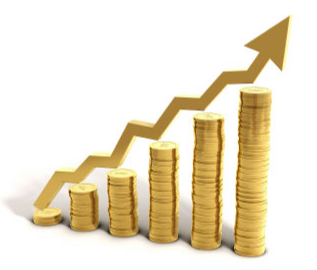 Owning gold is simply one of the most solid investments you can own and is a protection against any monetary upheaval. 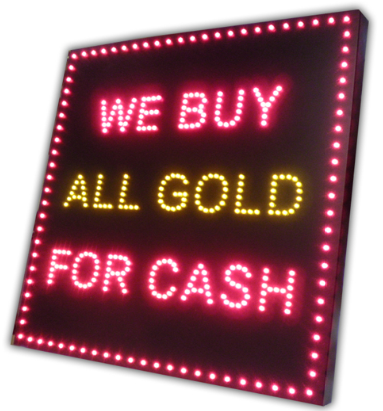 It’s tempting to capitalize on the current bull market and offload your current precious metal supply at a handsome “profit” — and that’s what the pawn shops with the “We Buy Gold” signs are counting on. But understanding the monetary situation is understanding you will come to regret not having this supply later. We pity the fools who sell their gold today! As investors, we believe we are on the cusp of witnessing the Greatest Wealth Transfer of all time thanks to the Federal Reserve and its actions. Though we may not be able to change the system or the course we are currently on, we can prepare for its inevitable end with physical silver and gold bullion helping us transfer our wealth into a new brighter day. We would like to help you do the same. We urge you to hold on to your gold. Please join us to learn more.